Drs. Lan Vo and Sean Breckley are dentists in Kennesaw, GA at 32 Dental who are committed to ensuring patients have access to a variety of dental procedures and services for achieving and maintaining oral health and wellness. Patients in the area who are faced with concerns regarding their teeth can ask why they could benefit from extractions. Extractions are performed in one of two ways. A simple extraction is the removal of a tooth that has erupted through the gum line. This is done quickly and easily with proper sedation and anesthetics in the office of 32 Dental. The tooth is removed with special instruments that wedge the tooth out of the bone of the jaw. Another type of extraction is a surgical extraction. This occurs when a tooth has not yet erupted through the gum line, and commonly occurs with the wisdom teeth. Surgical extraction requires the dentist to access underneath the gum tissues and into the bone. 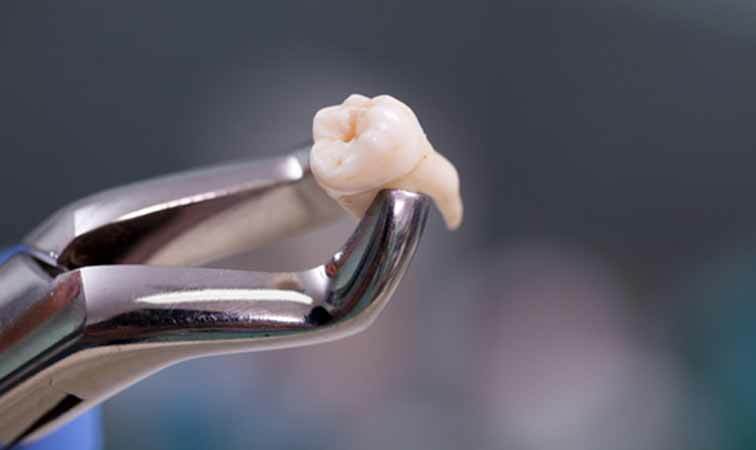 This is a more invasive procedure but there are situations in which it must be done, especially if there is an impacted tooth causing the patient pain. Drs. Lan Vo and Sean Breckley ensure optimum comfort with sedation for patients who are undergoing more extensive procedures such as this. We encourage patients to ask our team about the process of surgical extraction, so they can feel more at ease about having these services performed in our state-of-the-art practice. Who is a candidate for extraction? When there is a problem with a tooth that cannot be addressed with restorations, or to the point where removal is needed, our team of dentists will discuss with you the benefits of having this procedure done. Diagnostics may involve x-rays during which our team will assess the smile and talk to patients about any other options they may have available. However, by the time extraction is discussed, there are typically no other solutions to choose from to achieve better oral health and wellness. This is particularly true with impacted wisdom teeth which can result in extreme pain. We take the appropriate precautions and rule out all alternative treatments before we suggest extraction, as we feel, in most cases, patients should be able to keep all their teeth for many, many years! Do you feel as though you may require dental extractions? Contact a dentist in Kennesaw, GA to discuss the possibility of having teeth removed for your oral health and wellness or for the preparation of restorative work. Call Drs. Lan Vo and Sean Breckley of 32 Dental at (770) 423-1132. Visit one of their two practices located at 600 Chastain Road NW, Suite 422 and 1725 Dennis Kemp Lane. We encourage patients in and around the community to seek comprehensive care with our team of professionals for a healthy smile!